When running bigger tires on your Wrangler JK you need extra clearance which can be gained from changing out your factory fender flares with a set of ones that allow for more clearance. Rampage Products Trail Fender Flares give you the added clearance you need plus are made from steel to stand up the rugged outdoors. Finished off with a durable textured black powder-coat to prevent rust and corrosion. 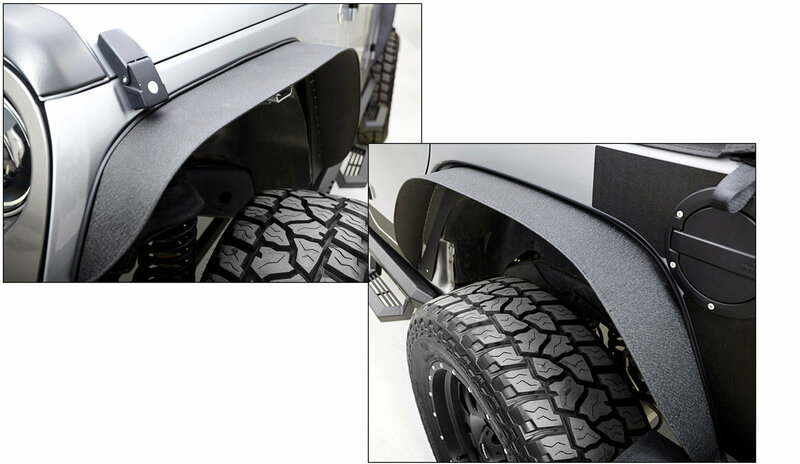 Added Clearance: The 3" style of these fender flares will allow you to run bigger tires with no rub when climbing over rocks or various objects. 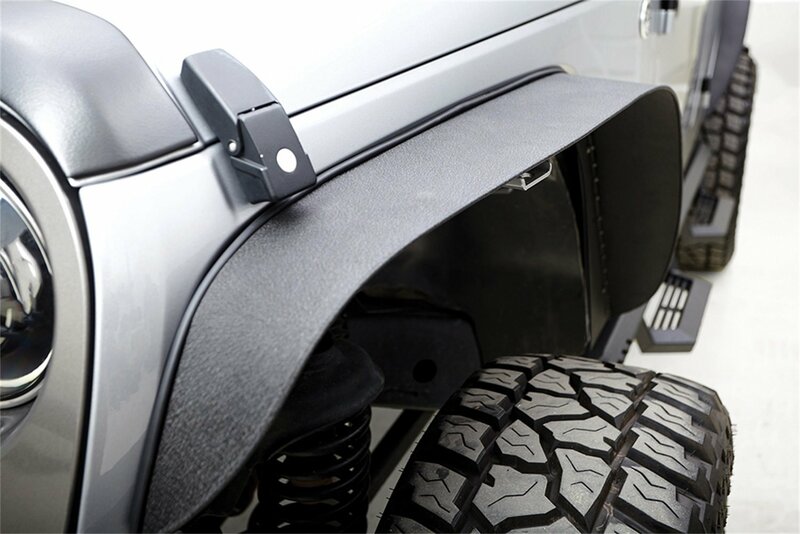 Protection: Made of steel then black powder-coated you paint will be protected from rocks and other debris while out on the trails in your Wrangler JK. 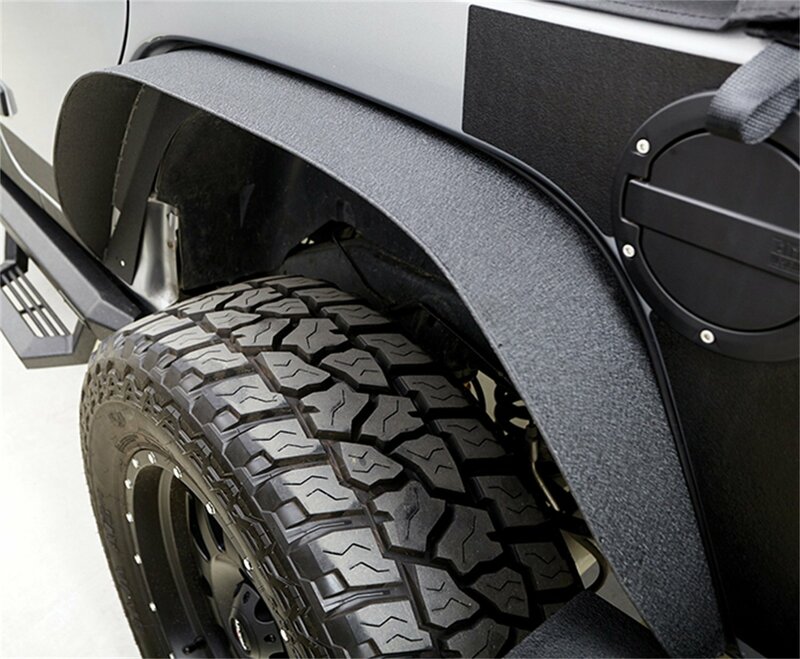 Installation & Looks: With no cutting or drilling required these stylish looking fender flares are a simple bolt on installation leaving Jeep Wrangler JK looking like a trail riding beast.